Sunset Friday evening and the cocktails are going down a treat twenty-six storeys up at SEEN, the rooftop bar of the AVANI+ Riverside hotel. 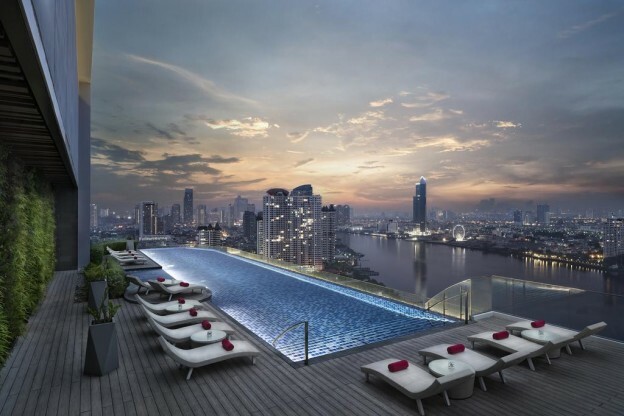 The 25 metre-long infinity pool somehow manages to blend itself seamlessly into the mighty Chao Phraya River, Bangkok’s legendary River of Kings, as the capital’s nightlife gradually comes alive. 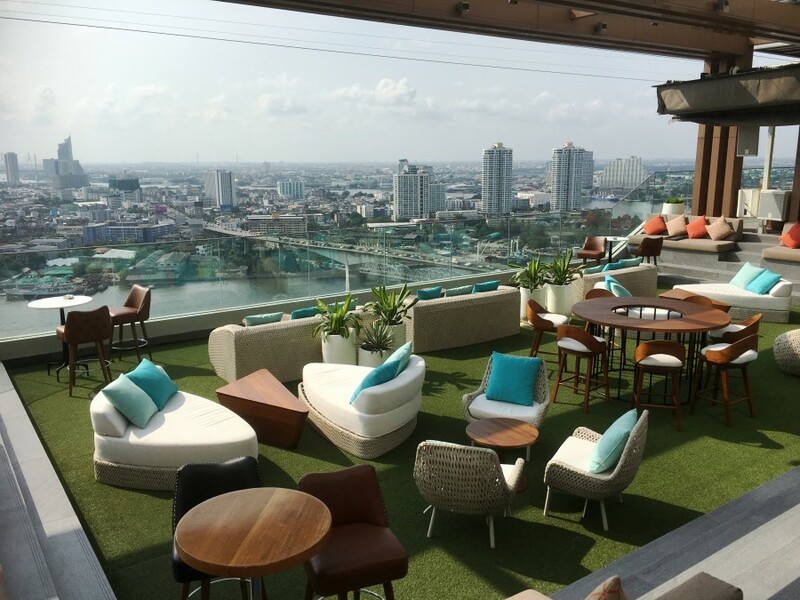 There’s a big benefit to staying by the river in Bangkok, and that’s the breeze, and Avani’s first purpose-built hotel takes full advantage of it with all the open air space up here. 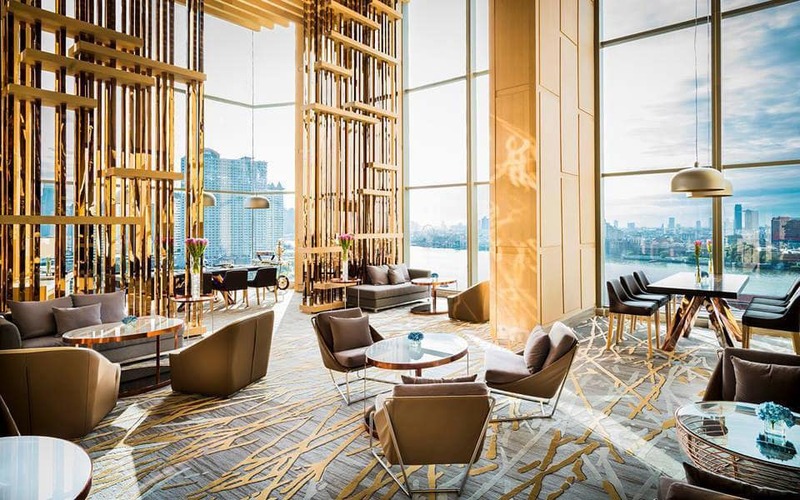 It’s an impressive building for sure; the vast lobby on the eleventh floor a study of floor to ceiling glass offering uninterrupted views across the river district and the city beyond. It’s a long space too with one end dominated by the Skyline restaurant for breakfast, lunch and dinner while at the other end is the aptly named Long Bar and Pantry for 24 hour light snacks. 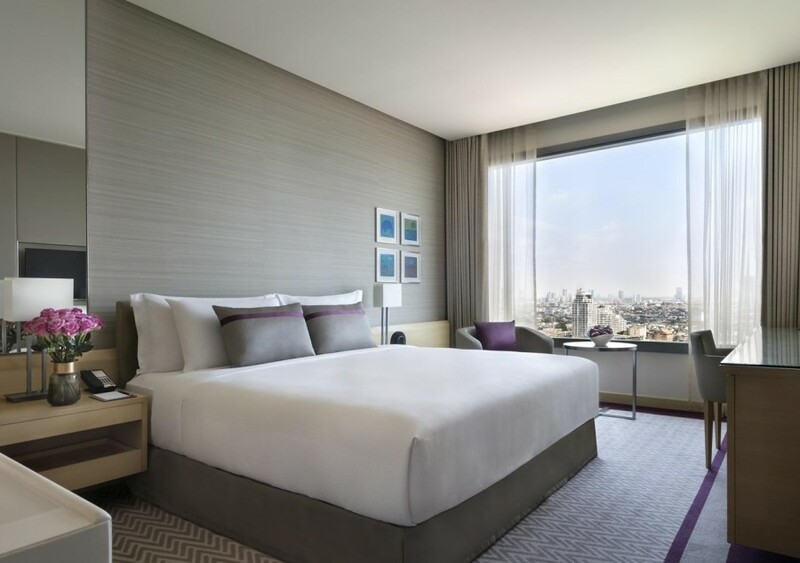 Speaking of uninterrupted views, my King room a few more storeys higher offers up another picture postcard view of Bangkok – albeit like a silent movie as the huge window is so thick. The room has a relaxing modern feel to it, light wooden furnishings and soft pastels of grey and white, dominated by the huge King bed. The bathroom has a discreet wooden sliding door that offers private moments when needed, while on the dresser, an espresso machine with an array coffee choices winks at me teasingly. I love the free smartphone that’s available to guests; the device provides maps, apps and unlimited calls to 26 countries. Everything about the AVANI+ is clean and elegant but without the more classic trappings of its 5-star sister next door – the Anantara Riverside. Both hotels are connected via a walkway and the Anantara’s gardens are a delight to explore as is the quite stunning spa. For me though, the Avani is better suited to business travellers or young couples looking to enjoy Bangkok’s late nights or early mornings depending on your perspective. 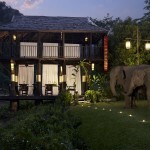 I’m here following a memorable few days in Chiang Rai in northern Thailand enjoying AVANI’s sister hotel, the Anantara Golden Triangle Elephant Camp and Resort. It’s a sanctuary for captive elephants to roam free in the jungle and I’m down in Bangkok to attend the inaugural King’s Cup Elephant Boat Race and River Festival right next door, raising much-needed funds for the Elephant Camp’s projects across Thailand. Taking a final sip of a very pleasant gin and tonic I make my way across to the Anantara Riverside dock to sample the Manohra evening dinner cruise on the Chao Phraya River. It’s an optional excursion for hotel guests, as is the Klong Guru tour aboard a traditional Thai longboat cruising around Bangkok’s temple-lined canals. Back down in the Skyline the next morning the breakfast buffet is doing good business. Plenty of Asian and western options on offer and I love the hotel’s solution to avoid the breakfast egg line; simply order the eggs any style from a pile of coupons on your table and hand them to your nearest waiter. Job done. 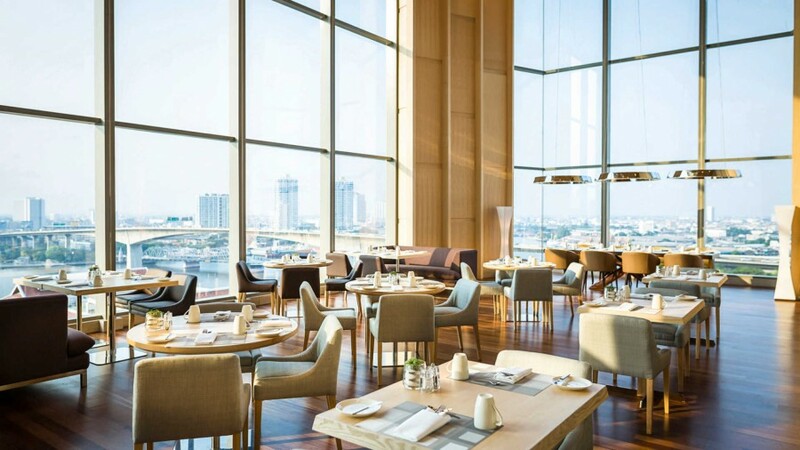 Nightly rates at AVANI+ Riverside Bangkok Hotel start from 3,800 THB (approx. 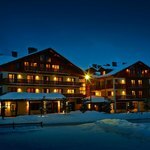 £91) per night, based on two sharing a Riverview Room, room only.